The Eastwood/Hanks idea of a collaboration is what first drew me to be interested in this one. Sully is definitely a story worth telling too. 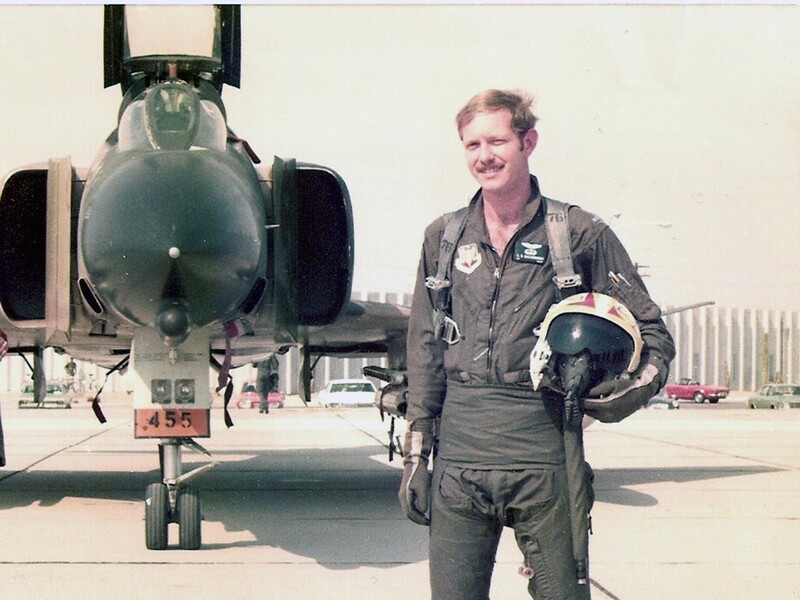 A strong, intelligent man, with a troubled aircraft and he didn’t lose a soul – his legacy is written. It is indeed, I highly recommend his book. Wonderful piece of work that sheds more light on his family and character. The man is all class. I wonder if that’s why I got so emotional with some scenes. The book read as something screaming to be made as a film. I’m surprised to find Hanks being mentioned as a legend in the same vein as Eastwood. It’s deserved but it just shows time is passing. I know what you mean; I often still think of Hanks as the young kid on Bosom Buddies – wow – I AM old!! Before my time :-p but I remember The Money Pit very well and it’s fun to look back at The Bachelor Party and go yep that’s America’s next Jimmy Stewart. I have read mixed reviews of this film, Lloyd. Your own is by far the most informative, and the most positive. I am not a fan of Tom Hanks, at least not since ‘Big’. I have never warmed to his style, and when I watch him in films, I often sit thinking about who I would have cast instead. But I cannot deny he has talent, as well as a huge following. Most film-goers love him, and flock to see films because he is in them. Perhaps as he grows older, I will appreciate him more. As for Eastwood still producing such work at the age of 86, I can only give him my admiration. It’s interesting to think of who you could cast instead for Sully. I’d love to hear some suggestions from you. Yeah Eastwood is doing some great work as a director. Very admirable. I haven’t seen the film yet, but my first thoughts on this one were Jeff Daniels, or Brian Cranston. Those are interesting choices, I was wondering if Jeff Bridges is too old or Matthew McCounaghey too young? I think Bridges is too ‘grizzled’, and McConaughey maybe not a good enough actor. Lloyd, what a fantastic review. Yours is nuanced and full of associations I like such as the Teddy R. quote. When I saw it this past weekend, I was impressed having read some disfavorable reviews. Eastwood has a great way of instilling patriotism and reminds from the old school what real men do –they have integrity, they work hard, they walk the walk instead of babble on about things.Their women are strong and back them up. Relationships are traditional and they lean on one another. Eastwood picks stories where his heroes could be you or me and in the constant slap of negative media and clownish authority-types, it’s the real heart of a man living a life serving and protecting that demands the most respect. I loved the film. “Until I read the script, I didn’t know the investigative board (NTSB) was trying to paint the picture that he had done the wrong thing. They were kind of railroading. “For those who are the focus on the investigation, the intensity of it is immense (the process was) inherently adversarial with professional reputations absolutely in the balance. It turns out that events, dialogue and key scenes in the film never happened. As the NTSB hearing links below show, Eastwood has apparently succeeded in brainwashing himself with the help of screenwriter Todd Komarnicki. In May 2010 the NTSB’s final report, based on 20,000 hours of investigation, “validated the Captain’s decision to ditch into the Hudson River saying that it “provided the highest probability that the accident would be survivable. According to the NTSB no one on the Eastwood/Warner Brothers production team bothered to do fact checking with the federal agency. This appears to have been an oversight, considering that NTSB officials spent years fighting for some of the key safety improvements and procedures contributing to the survival of all 155 aboard flight 1549. Screenwriter Komarnicki, perhaps best known as the producer of Santa driven comedy elf, is celebrating Christmas a bit early this year thanks to his ability to rewrite history and dramatize incidents that never happened. 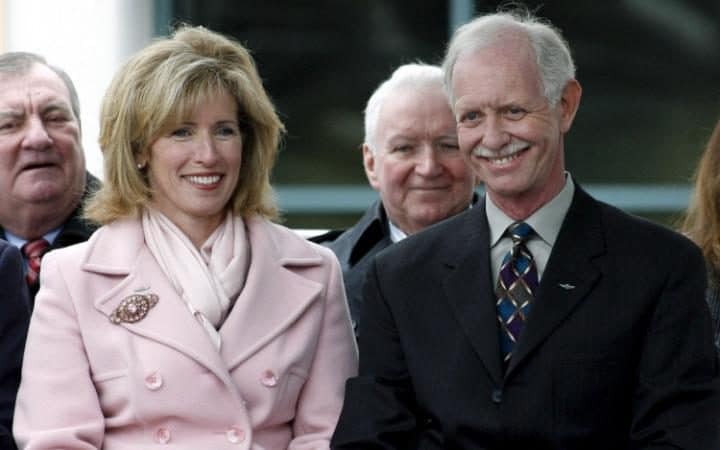 Warner Brothers damage control experts, Eastwood, Sullenberger and Hanks can’t explain why Komarnicki and Eastwood’s narrative invent a series of events that do not show up in the 560 page transcript of the NTSB’s three day June 2009 hearing on Flight 1549. It’s hard to believe that Sullenberger who covers aviation stories for CBS and is universally recognized as a white hat in aviation safety, would not have caught these obvious and unforgivable mistakes in the script. Eastwood’s revisionism portrays agency investigators as no nothing amateurs eager to smear the pilots. The embarrassing and inexcusable factual errors begin when Hanks , playing Sully, wakes a union rep insisting that he put in an early morning call to Airbus in France. The “nervous” US Airways Captain wants the pilots in Toulouse to speed up simulations of the Flight 1549 landing pattern at LaGuardia and Teterboro. This phone call never happened nor did Airbus pilots rush through the simulations portrayed in the film. In fact this sequence never happened. At the hearing, bullying NTSB investigators (perhaps to avoid the possibility of libeling them, their names have been changed) make the case that Sully and Skiles could have kept their passengers high and dry by landing their plane at LaGuardia or Teterboro. A pair of Airbus simulations, supposedly made available for the hearing thanks to pressure from Sully’s union, demonstrate they could have made it back to LaGuardia or landed at Teterboro. In the Eastwood version, Sully brilliantly persuades the hearing officers to phone Airbus and ask them to instantly rerun both simulations. In the film this is done with a realistic 35 second delay necessary for the pilots to assess the bird strike triggered crisis at dangerously low altitude. When the hearing reconvenes after a short recess, the French simulator pilots show a new more realistic scenario that plane could not have reached either airport. This is portrayed as a humiliating defeat for the big bad wolves in the NTSB lair. “We never got any pushback from Sullenberger. The movie’s portrayal of the French rerun of the simulation of the crash never happened at our hearing. “The movie makes it look like Sullenberger forced us to do additional simulations during the hearing. We had done those simulations months before and he had nothing to do with them. What about the scene in Eastwood’s film where an investigator challenges Sullenberger on whether or not one of Flight 1549’s engines was potentially capable of producing enough power to get the plane back to LaGuardia? “Not true,” says Haueter, now an independent safety consultant in Great Falls, Virginia. “They couldn’t have produced full power if they tried. They weren’t going to fly anymore. Another inexplicable Eastwood change was playing the cockpit voice recorder during the film, an event that triggers heartfelt words from the investigation team. “We never played the cockpit voice recorder during the hearing, as shown in the film,” says Haueter. Missing from the script is the fact that some of the NTSB’s safety recommendations resulting from the Flight 1539 investigation and hearing have been implemented to the benefit of American airline passengers every day, including people who work for Warner Brothers. Eastwood doesn’t spend one second on this side of the story. Should he, Tom Hanks (Sullenberger) and Aaron Eckhart (as Skiles) win Oscar gold , their Hollywood victory will clearly be at the expense of the “bureaucrats” at the NTSB falsely accused of trying to sully the flight crew’s reputation. Damage has already been done as some fans of the film stream out of theaters cursing a diligent and highly praised federal agency that has made many life saving significant contributions to aviation safety. “I understand the need for a movie to make money,” says Haueter “But I have gotten a lot of calls from pilots blasting the NTSB who believe the false story shown in the film is absolutely real. This is going to be detrimental to future accident investigations because people who see the film think they can’t trust the NTSB. “The people I have talked to from pilot unions who participated in this investigation are shocked by the movie. Unfortunately for the NTSB, it is not going to be pretty. “I have not heard anything from Capitol Hill but I wouldn’t be surprised if they are getting calls from Congressmen and Senators asking what is going on. 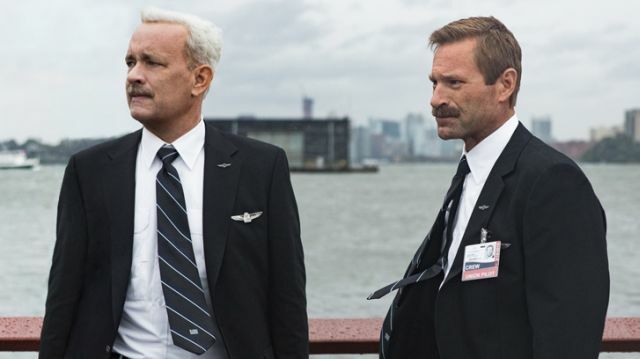 Hanks and Eckhart’s convincing performances as Sully and Skiles have made the problem worse. It’s not going to be easy to undo the fictional dialogue in the film that has already crossed the $94 million mark worldwide, blasting away competition like Blair Witch and Bridget Jones’s Baby. “Eastwood believed it was true. I find it interesting that when they made the movie they never approached the NTSB. FSI Contributing Editor Roger Rapoport is the producer of the feature film Pilot Error. He can be reached at 231 720-0930. Here are video links to the three day NTSB public hearing on US Airways Flight 1549.
http://www.ntsb.gov/investigations/Pages/2009-usairways1549.aspx. Video appears under “related video” on the left. The accident docket, documents 110, 111 and 112 presents a transcript of the hearing. Thank you for posting this mate. I was aware of a few things but your comment is most illuminating. I did not remember the trials of the investigations from Sullenberger’s book so was surprised to see this aspect in the trailers. I found Sullenberger’s quote as one where words were chosen very carefully. I’ve also seen an interview where Hanks says they looked at transcripts but access to such videos would not be possible when Eastwood became exasperated from questions regarding research from Katie Couric. As mentioned in my review I saw clearly Eastwood seeing the need for a villain for the purposes of his narrative and using the NTSB. The real life Sully’s insistence that the names be changed of the investigators smells less of fearing libel and more of a keen understanding of the power of cinema. We routinely now get films based on true events that regardless of using real people’s names or not – do not tell their stories. The Butler, The Social Network, The Imitation Game and Whiskey Tango Foxtrot immediately come to mind. My knowledge of the facts made it difficult for me to enjoy The Butler on it’s own merits whereas it had little effect on the others I mentioned or Sully. That can be a personal thing I guess and if personally your knowledge lessens the experience of Sully for you the way it did for me and The Butler well then you have my sympathy. I am sorry for the real problems this has caused for the NSTB and pilots and I would urge people to always be suspicious of what is real in Hollywood biopics. There are great sites now that will put forward comparisons of what really and didn’t really happen for new releases. As for the film Sully itself, well I enjoyed it very much. I think you’re right mate. Even J. Edgar felt like him saying something about mortality and unrequited homosexual love. A flawed film I found he shot it just right the finding of Hoover’s body. It was very moving. I wonder how much mortality plays on his mind these days. Quite a bit I think. I really enjoyed Sully and hope you do too. A very interesting read. I am enjoying reading your blog!